Dumore Series 10 hand grinders are the most popular hand grinders for all-around use and precision tool and die work. Extremely accurate and providing exceptional ease of control with less operator fatigue, Series 10 hand grinders are ideal for rotary filing, deburring, cleaning and polishing. 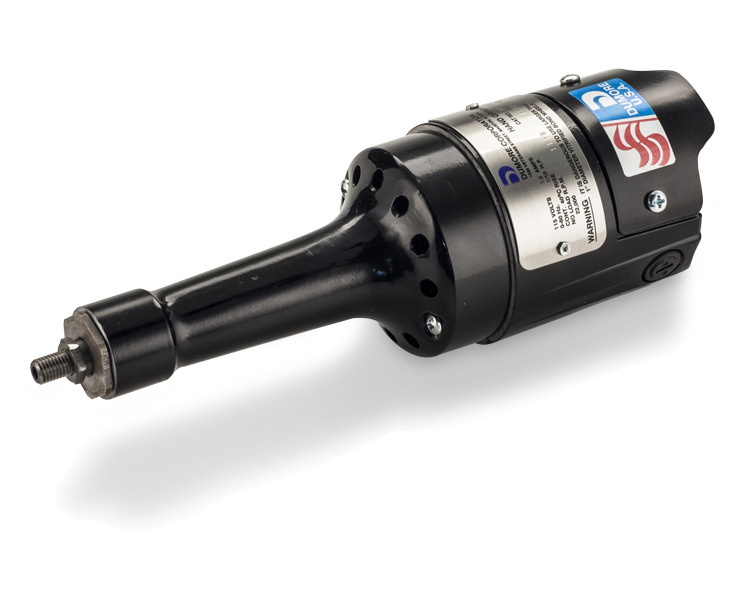 These hand grinders are powered by an advanced design Dumore motor that is efficient, conserves power and runs cooler. The back mounted "on-off" switch provides additional operator safety. Chuck options include a 0-5/32" geared adjustable chuck, 1/8" & 1/4" collet chucks and an 1/8" reducing collet for use with the 1/4" collet chuck. Both table top and foot switch speed controls are available. Choose the popular cost saving kit, which includes everything needed in a handy carrying case, or purchase the Series 10 hand grinder individually, selecting the specific chuck and accessories needed for your application.